Last week, I was invited to attend the “Dialogue with the Community” symposium hosted by E*TRADE Financial. The keynote speaker for the symposium was the Harvard sociologist Matt Desmond, the Pulitzer-winning author of the bestselling book Evicted. His book is based on his multiyear study of low-income renters living in poor neighborhoods in Milwaukee (the 4th poorest city in the country). What he depicts in the book is a collision between low-income renters and a private rental market. The result is instability, disruption, and regular episodes of eviction and homelessness for a large number of these households. In fact, as he documented, one in eight renters in Milwaukee face displacement from their housing. (Forty households are evicted in the Milwaukee courts every single day). Dr. Desmond changed the paradigm of poverty in many ways. 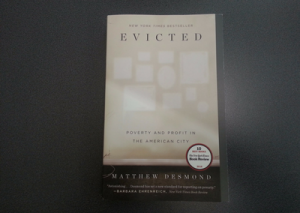 He showed that eviction is a cause, not a result, of poverty. The many households depicted in his book — most of them single-parented families with young children — slid into poverty after their evictions. They had to take whatever housing they could find. After their eviction from one room not fit for habitation, the mother of two small children put in 90 applications for housing. She was rejected by all of them. The 91st application succeeded. The three-person family ended up in the room of a boarding house in a crime-ridden, deeply troubled neighborhood in Milwaukee. It was a step down into worse circumstances for the family. As other researchers have shown, low-income families experiencing housing instability tend to move from one poor neighborhood to an even poorer one. His book also demonstrated that stable and affordable housing can make a difference in their lives. It can change the trajectory for them from poverty to prosperity. That’s the impact of safe and suitable affordable rental housing — like the kind of housing GSH provides. That’s why we say our housing transforms lives. It really does.